The premium executive sedan segment in India doesn’t have many contenders in the field. 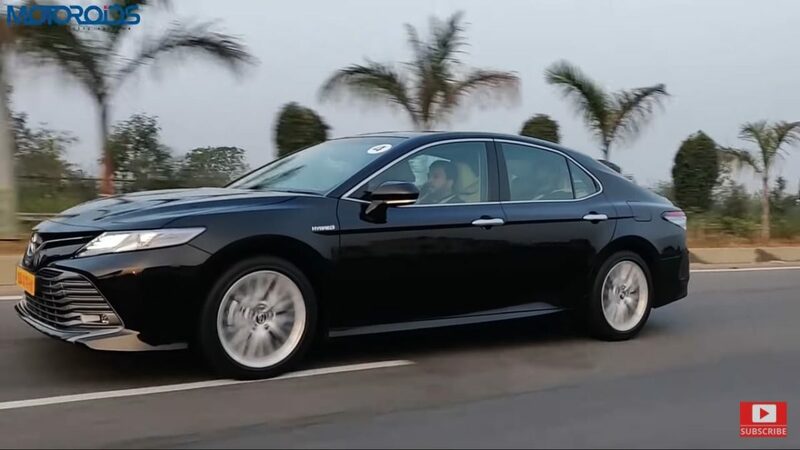 The Skoda Superb is the dominant player here along with the Camry Hybrid, the sales of which tapered off as the seventh-gen model reached the fag end of its life cycle. The Camry Hybrid was showing its age, and the anticipation of the new gen model coming in affected the sales. The all-new eighth generation model is here though, and we have driven it for long enough to let you know everything you need to know about it. In this text review, we’ll try to be brief, and give you a quick understanding of what the new Camry is all about. We’ll also let you know how it holds up against its closest rivals – the Superb and Passat. For the finer details, you can watch our detailed Hindi and English video reviews embedded within the post. 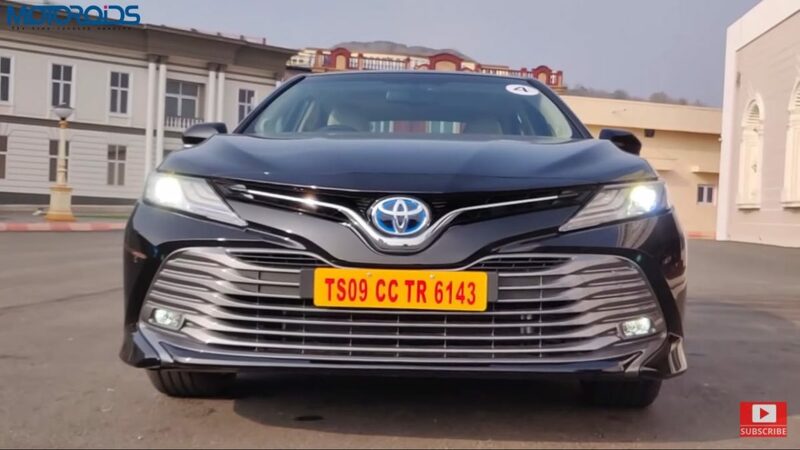 Based on the Toyota New Generation Architecture or TNGA, the eighth generation Camry is bigger, wider and sleeker, although it is lower as compared to the older gen machine. Toyota has reduced the bonnet height by 40mm and roof height by 25mm so as to make the car look longer, sleeker and sportier from the sides. The roofline is flat, although some design elements at the C-pillar, make it appear as though it’s sloping down, without compromising with the headroom for the rear occupants. Up front, the car gets an all-new fascia, with a multi-slat, aggressive lower bumper, which also doubles up as the grille. 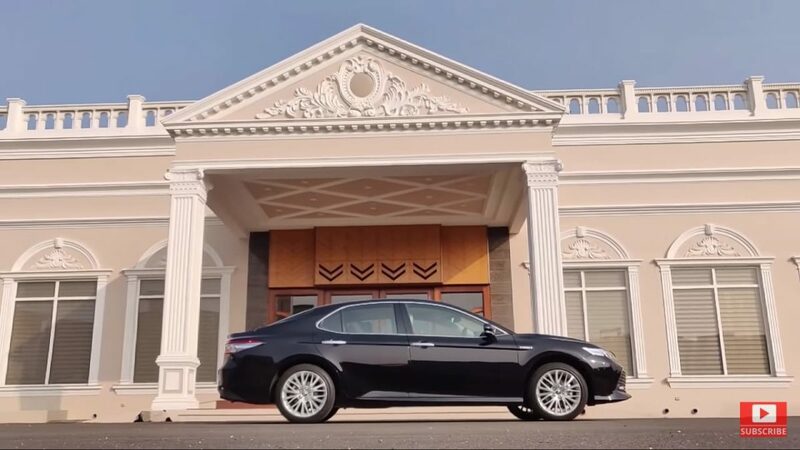 It’s quite in-your-face and seems to have taken a design cue from the expressive spindle grille of the Lexus cars, specifically the ES300h, which is strikingly similar to this car in terms of its size and proportions. The lighting up front is all LED with LED projectors and triple LED DRLs. The Toyota badge sitting below the front bonnet lip has blue highlights indicating that it’s a Hybrid car. The lower part of the bumper also gets fog lamps, though cornering lights are missing, and that’s an omission for this segment. The headlamps are automatic though, and look rather sharp. The bonnet too gets very prominent creases to underline that this car is more athletic and driver-oriented than the version it replaces. Wheels on the side are 5×4 spoke 18-inch alloys which although smart, could probably have looked better. They’re shod with grippy Bridgestone Turanza 235/45 section, relatively low profile rubber. Greenhouse area is lined with chrome, while a strong shoulder line runs across the doors. There’s another line that rises up at the haunches to make them look solid and muscular. The front and rear lamps extend into the side profile of the car to lend it that sleek look. The new Camry looks very sleek, long and graciously sporty from the side. Chrome door handles do their bit to further elevate the premium appeal of the car. There’ no roof antenna though and the receivers are embedded in the rear windscreen. The rear gets a new LED tail-lamp cluster, and also receives a rearview camera with parking sensors. The boot is not powered, although it gets a cavernous 593 litres of space inside, thanks to Toyota having moved the battery cells to under the rear seat. Under the boot, you get a full-sized spare, which is also an alloy, and not a steel rim, so that’s really a great thing to have. Overall the new Camry stands out, and has tons more zing than the car it replaces. It looks sleeker, sportier and even if that front isn’t very elegant, it’s expressive, and does stand out. From a visual standpoint, the new Camry definitely has the appeal to bring the customers in the segment back into the showrooms. The all-new interior of the Camry really shines. The car gets tons of equipment and is finished exquisitely with high-quality materials everywhere. The steering is electrically adjustable for reach and rake, so are the 10-way adjustable seats with 2-way memory function. The much-desired sunroof is very much there, and a wireless charging platform pushes up the tech quotient. The perforated front seats are finished in leather, and are also ventilated. The Y shaped centre console gets a high-resolution display which looks very rich, and has slim metallic buttons which look and feel very nice and classy. The display is very responsive to touch and gets tons of features including navigation, although it’s not Apple CarPlay and Android Auto Compliant. Mirrorlink and Miracast can be used if you wish to represent your phone’s screen onto the 8-inch car-display though. The infotainment system is paired with a 9 speaker JBL audio with Clari-Fi tech meant to improve the audio quality even on low-quality files. The sound from the audio system is really impressive for the class and the audiophiles amongst you would love it. The instrument console gets speedo and fuel gauge on the right and on the left pod, you have Eco and Power markings with a needle swinging between the marks to represent your driving style. Within the same dial, you have the Charge marking – if the needle is resting in this area, it means the batteries for your hybrid are charging while you brake or decelerate. There are tons of storage spaces which make this cabin as practical as it is luxurious. Despite the low seating, the visibility is very good thanks to the big windows and the slim A-pillar. The car also gets a 10 inch HUD too, which can be customized for content (including navigation), position as well as brightness. The 7-inch MID screen is very information reach and easy to navigate through – it could have done with a more hi-res display though. 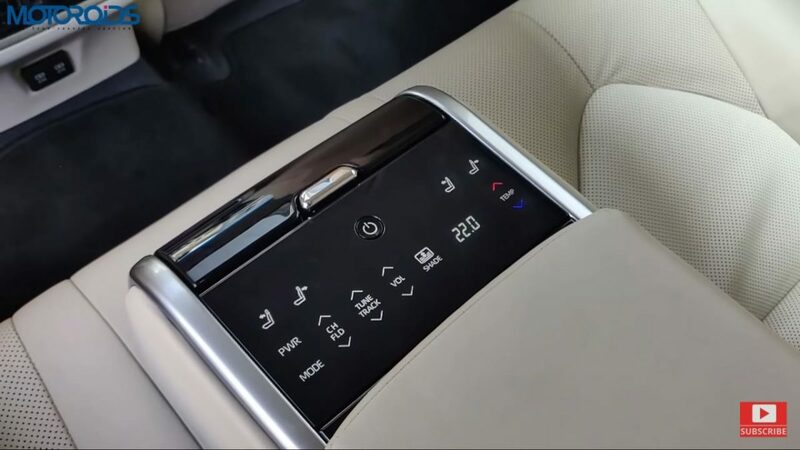 At the rear, the central armrest gets capacitive touch buttons for a variety of functions such as audio power on/off, volume, channel/track, and temperature control for the three-zone HVAC unit. The AC also gets a cluster ionizer to keep the cabin odour-free. In addition, there also are controls to recline the back seat by 8 degrees for enhanced comfort over long journeys. The seats are extremely comfortable with fabulous back and under thigh support along with excellent legroom. Headroom is sufficient too. There are three headrests for the back seat, although the central unit is not adjustable. The back seat occupant behind the front passenger can also slide or recline the front passenger’s seat using buttons on the side of the front seat. 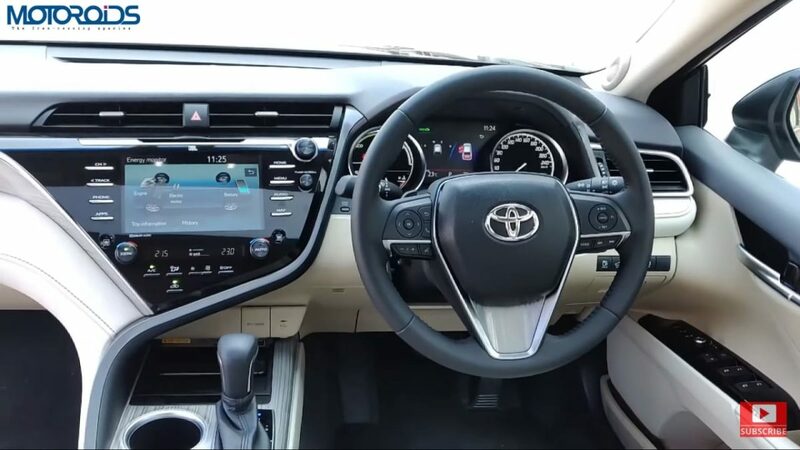 On the safety front, the Camry hybrid gets 9 airbags, along with vehicle stability control, traction control, ABS, EBD and a rigid body structure which has won the Camry Hybrid an ASEAN Crash rating of 5 stars. 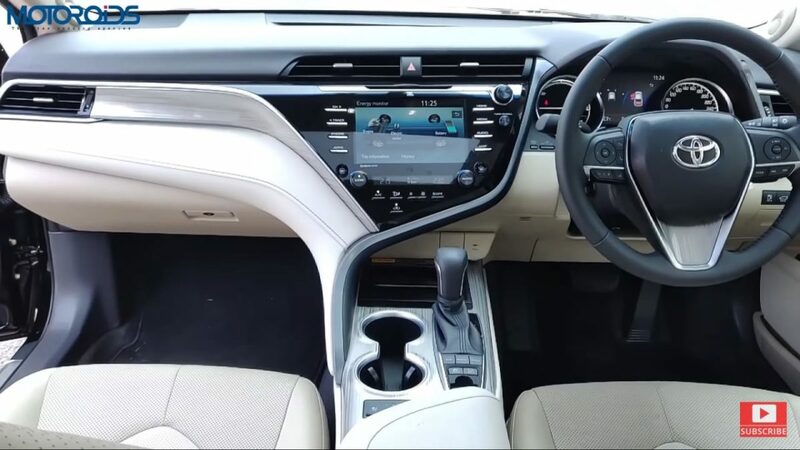 Overall, for the segment, the Camry offers fantastic interior in terms of quality, features, space as well as the very tasteful appointment of colours and materials. The Camry Hybrid is one of the most comfortable cars to travel in, both for the front, as well as rear passengers. The Camry Hybrid gets a 2.5-litre engine with 178PS of power and 221Nm of peak torque. The 245V Electric motor by itself is capable of 102PS and 202 Nm of torque. In conjunction, the system is capable of 218PS of power, which makes the Camry Hybrid a lot more powerful than the Superb, or the Passat. 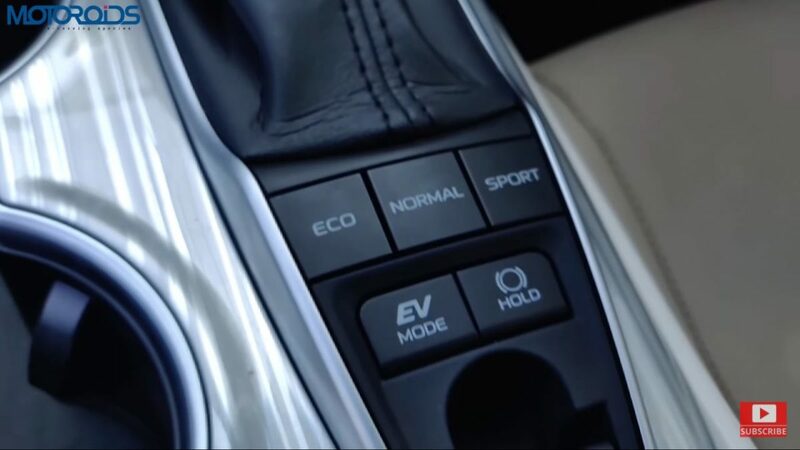 You can also choose from Eco, Sport and Normal modes, along with an EV mode which can make the car run purely on electric power, albeit only for a kilometre or two. The acceleration is pretty brisk, and the Camry comes across as a car which has a lot of shove. 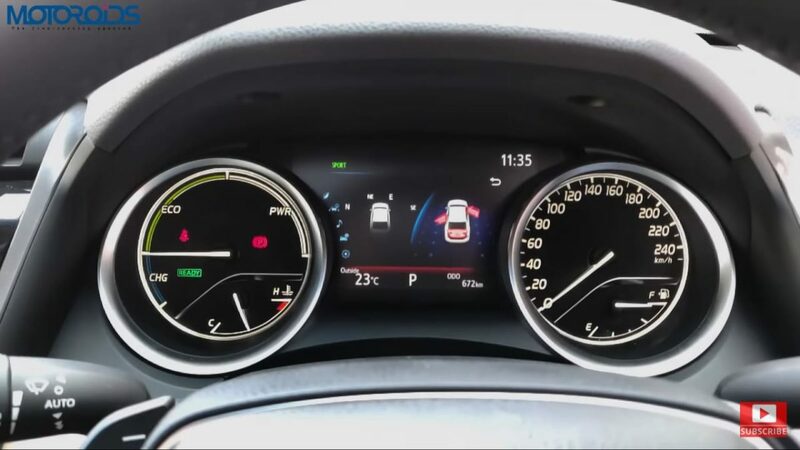 The CVT Transmission, however, isn’t the best at laying that power down quickly enough, and when you mash the pedal, the engine makes more noise than ideal without you experiencing the kind of shove you should for that aural effect. 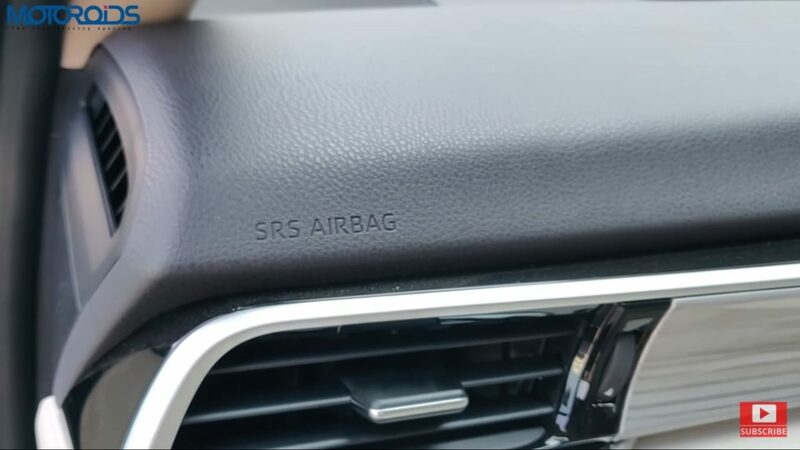 While you can shift gears sequentially or through paddle shifters behind the steering wheel, the quickness isn’t quite the same as the dual clutch DSGs from Skoda and VW. Apart from that relatively slow transmission, however, the Camry feels a lot sharper, quicker and athletic than before. 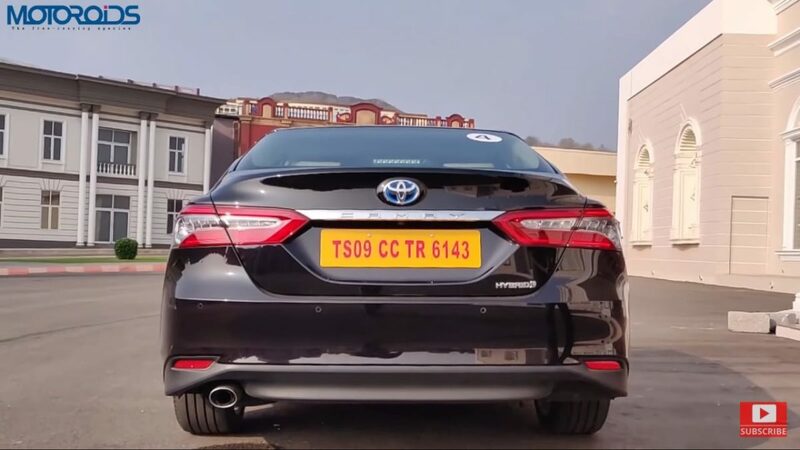 The steering too feels very nice and responsive now, and along with a lower centre of gravity and a double wishbone setup for the rear suspension, the Camry does feel like a car that can entertain a fair bit around bends. The body roll has been reduced significantly and for everyday users, the Camry has what it takes to induce a grin over the face. The NVH control inside the is top notch too, and the Camry ‘s cabin is devoid of any tyre, wind or ambient noise. It’s a plush interior, with a fantastic ride quality, which makes the Camry a supremely comfortable car to be driving in, although purely from an enthusiast’s perspective, the Skoda Superb and Passat score higher owing to their quicker transmission. For plushness, refinement, equipment, luxury and space, the Camry scores very highly, and should be your choice in this segment. Not to mention, its high 23+ kmpl ARAI rating for fuel efficiency makes it as light on the pocket as it is light on the environment. For sheer driving pleasure, however, the Czech and German options are better.